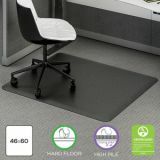 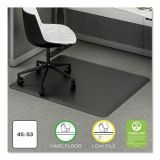 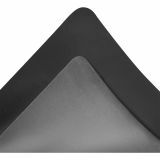 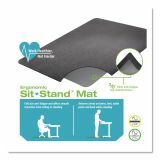 Deflecto Ergonomic Sit-Stand Chairmat - Sit-stand chairmat combines the ease of chair mobility with the comfort of anti-fatigue foam to increase your productivity whether you're sitting or standing. 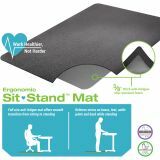 Its soft, anti-fatigue foam delivers excellent support and resilience to relieve stress on your knees, feet, ankle joints and back while standing. 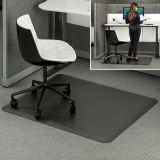 Full-size design allows you to easily transition from sitting to standing to let you work healthier, not harder. 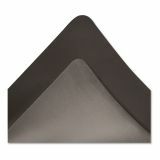 Nonslip bottom stays put on smooth surfaces to prevent it from sliding through daily use. 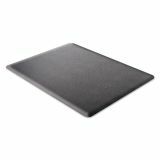 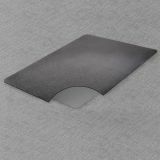 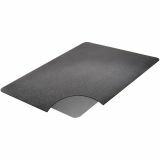 Medium-weight chairmat is perfect for use with adjustable-height, sit-stand workstations.